WooCommerce is an amazing free eCommerce tool for creating an online store, but it can’t make your business grow magically overnight – at least not on its own. To maximize sales in your online store, you need to capture visitor trust, provide a smooth and delightful shopping experience and give your customers a reason to keep coming back that goes beyond your awesome products. To help you start the new year with a bang, we’ve looked into a wide variety of WordPress themes and plugins built for WooCommerce and chosen the freshest and most unique to help you stand apart from your competition. Themify’s biggest eCommerce highlight is the Themify Product Filter, which allows advanced filtering of products by price, color, categories or sale and can be dropped into your layout in a vertical or horizontal design. Themify is a veteran theme shop known for its powerful theme framework and builder plugin. Price: $49 – gets you access to the Themify theme club and free builder addons. Flatsome is the perfect theme for your shop or company website, or for all your client websites if you are an agency or freelancer. It includes a set of high-powered visual design tools to create super fast responsive layouts right in the WordPress Customizer. Additionally, Grayson includes 40+ short-codes, Google Font support and 3 free icon packs. North also bundles several popular WooCommerce plugins to help you maximize sales, a few of which we cover in more detail in the next section. For the designers out there, this is one of the only themes on the market built with SCSS for added performance and functionality. The makers of ShopKeeper have sold tens of thousands of themes since their start just a few years ago. Their theme framework is designed to offer easy visual customization through The Visual Composer plugin and comes with several modern pre-built layouts. Over 77% of consumers prefer social login when using an eCommerce site. 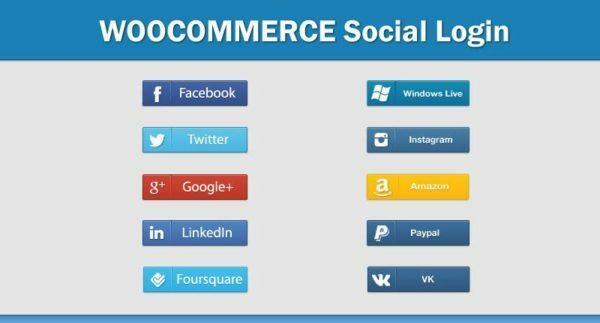 Social Login plugins allow your customers to login to their account page or leave reviews using their social network accounts such as Facebook, Twitter, Google, Instagram or Foursquare. There are multiple plugins offering this functionality for WooCommerce with varying styles and features but the WooCommerce Social Login plugin by wpweb offers the most features and options for the value, including reports, user sync and custom login redirects. Tip: If you only need three networks and basic support, check out the free Yith WooCommerce Social Login plugin. Many of our featured themes include Wishlists via this wonderful plugin, Yith WooCommerce Wishlist. If you’ve chosen a more moderate theme that allows you to add only the functionality you need, this is a wonderful and lightweight addition to any shop your customers will love. Yith Newsletter Popup is a simple to configure plugin that displays a modal popup when visitors land on your page. You can insert images, promo messages and a newsletter form. The plugin also supports display of any product you choose. Combine this with the Mailchimp for WordPress plugin to add Mailchimp opt-in forms and direct subscribe methods to reviews, checkout or any widget area of your theme and increase your return customers. Sumo Reward Points is a complete WooCommerce loyalty reward points system. Loyalty points reward your customers for actions such as product purchases, writing reviews, sign up, referrals and social sharing. The earned reward points can be redeemed for future purchases, increasing return visits and growing your customer base. The plugin offers the flexibility to define reward points at product level, category level or global level and supports fixed reward points for product purchase or reward by percentage of the product price. WooCommerce Dynamic Pricing & Discounts lets you manage product pricing rules and cart discounts easily. Set up attractive discounts for customers who buy large quantities. Run special holiday promotions or set up clearance sales. This plugin helps you create long term pricing strategies to keep your best customers engaged through a wide variety of discount options, including VIP clubs, bulk shopping discounts and more. There are endless scenarios, many of which you can see outlined on the plugin’s homepage for inspiration. If you run a business based largely or in part on rental equipment or services, Woocommerce Rentals & Booking System can help you streamline your business and increase your client list by integrating the scheduling and inventory aspects of your business with WooCommerce on your website. 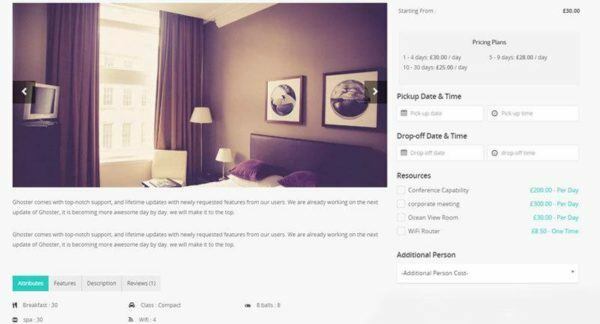 The Rentals & Booking plugin allows you to setup your products and services in a normal shop catalog mode, assign a standard price, package or hourly rate and ties it into a sleek checkout and booking system where clients can browse, reserve, pay and track all in one place. You benefit from reporting, customer management and invoicing, effectively replacing other more expensive tools. 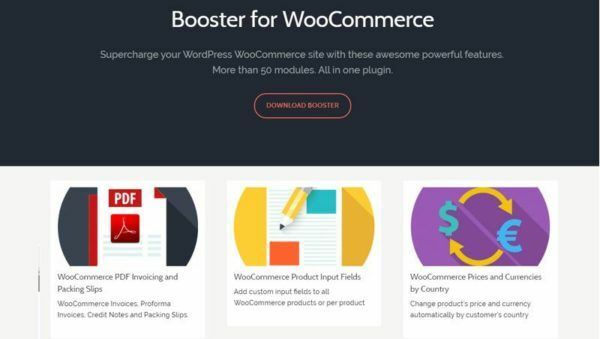 There’s certainly no shortage of themes and plugins that can give your WooCommerce shop an edge, and we hope that you found something new and/or useful from this list. What are your favorite themes and plugins for WooCommerce? Trusted by 63,834+ customers, Themify themes & plugins help you create beautifully responsive WordPress sites, faster and easier than ever before.